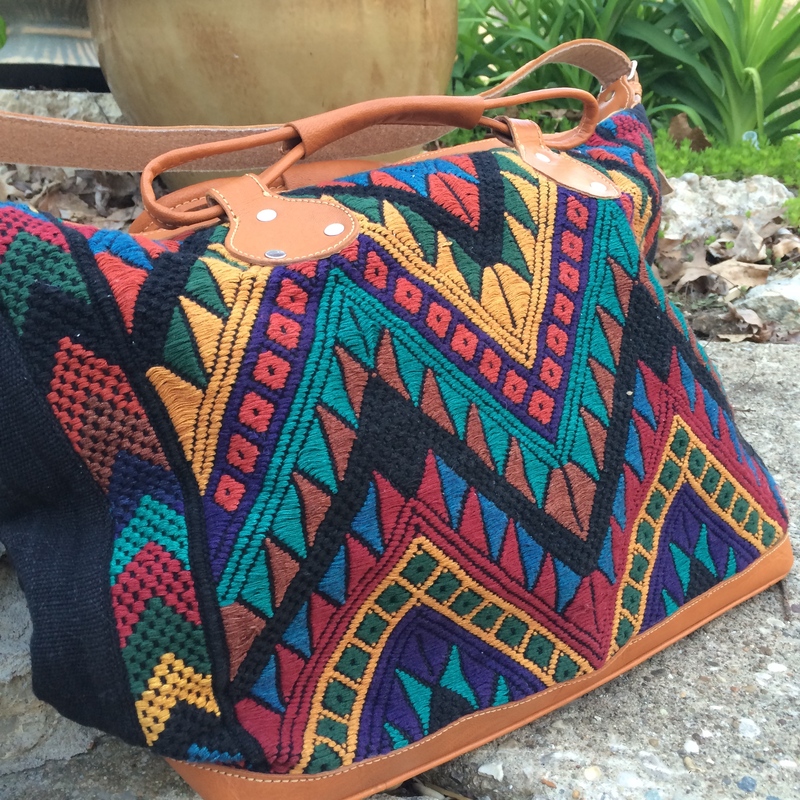 Take Guatemalan culture and artistry wherever you go with this striking and versatile black bag. Reminiscent of traditional backstrap weaving, the front is embroidered with linear geometric designs in rich greens, deep reds, burnt oranges, and earth tones. Adjustable leather strap and sturdy leather bottom with a large back zipper pocket, trimmed in leather, and a small inner pocket perfect for your cell phone. Large enough to carry any assortment of things, this casually elegant bag could work stylishly as a book bag, diaper bag, overnight travel bag, or simply as a bag for your daily adventures.